Robin Banerjee is a senior professional executive with over 35 years of experience in several large multinational corporations in more than 20 countries. He is a Chartered Accountant, Cost and Management Accountant, Company Secretary, and has a Master’s degree in commerce. 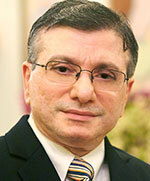 During the initial years of his career, he served in Hindustan Unilever in several positions, including as the General Manager of its Exports and M&A divisions. He then moved to Germany and joined Arcelor-Mittal as its Managing Director and CFO of its German operations. After working in Germany for five years, Robin moved back to India and joined Thomas Cook as its Executive Director. He then moved to Essar Steel as the company’s CFO and member of its global board. After that he joined Suzlon India Ltd. as its Group CFO and member of its board for several of its international companies in Australia, China, Chile, Mexico, South Africa and the USA. Currently, he is the Managing Director of a large manufacturing company. Robin has won several awards and was nominated by Business Today as the Best CFO in India; as CFO-100 in 2010 and 2012 by the CFO-India magazine; the Corporate Leader in India by DNA; and many others. Robin has written three books on indirect taxation, one of which, Modvat, has gone into 10 editions. He is an acclaimed speaker on business management and finance-related topics, and has presented papers in numerous national and international seminars. He frequently writes for various journals, magazines and web-sites.